The Burning Man. It's the name the media has given a brutal murderer who has beaten four young women to death before setting their bodies ablaze in secluded areas of London's parks. And now there's a fifth. Maeve Kerrigan is an ambitious detective constable, keen to make her mark on the murder task force. Her male colleagues believe Maeve's empathy makes her weak, but the more she learns about the latest victim, Rebecca Haworth, from her grieving friends and family, the more determined Maeve becomes to bring her murderer to justice. But how do you catch a killer no one has seen when so much of the evidence has gone up in smoke? 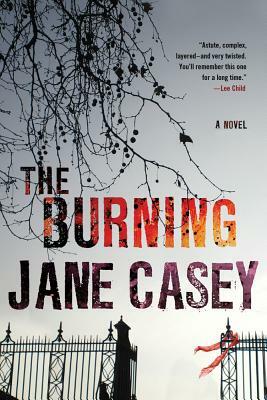 Maeve's frenetic hunt for a killer in Jane Casey's gripping series debut will entrance even the most jaded suspense readers.